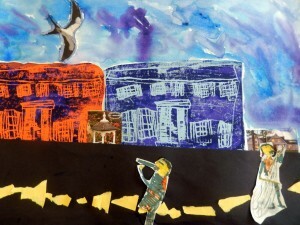 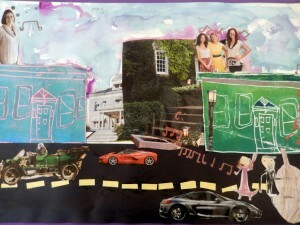 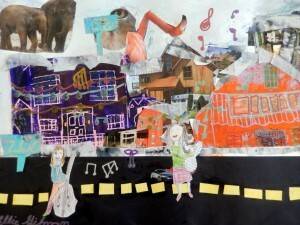 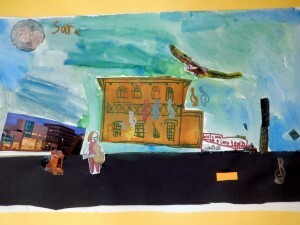 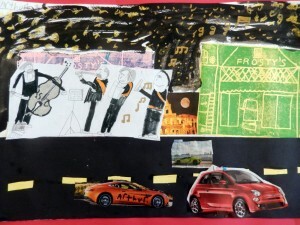 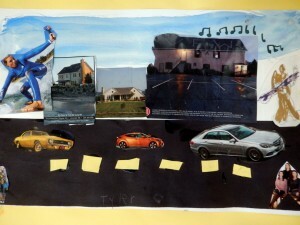 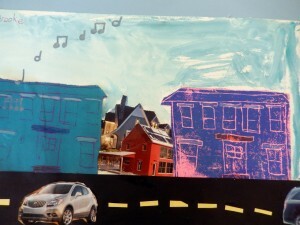 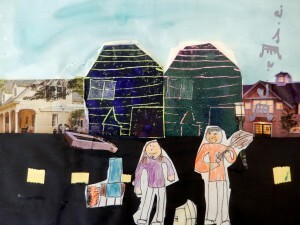 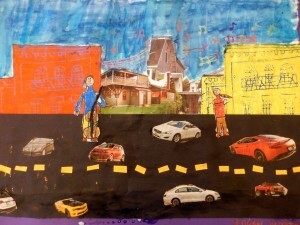 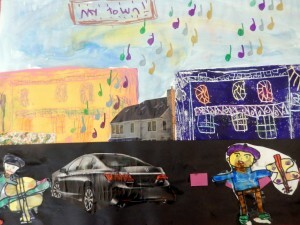 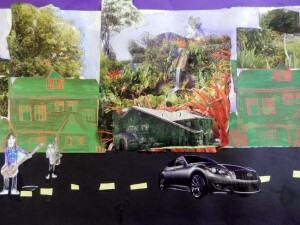 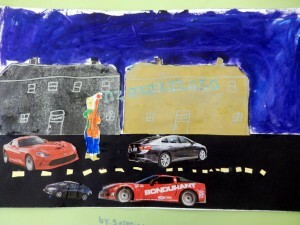 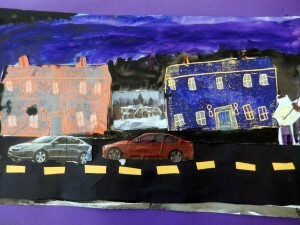 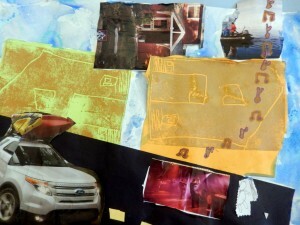 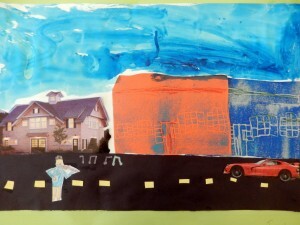 3rd graders in Mrs. Kiely’s class created these collages of street musicians in the style of Romare Bearden. 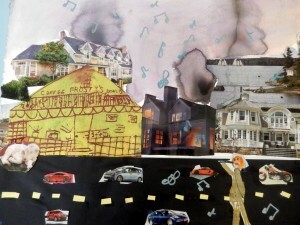 First they created prints of Brunswick landmarks, and created a collage with these, magazine pages, and construction paper. 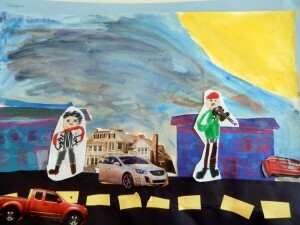 then they drew musicians and painted the sky with watercolor.